The Government has expressed concern over the performance of some schools in national exams, amid indications that over 250 Primary and Secondary schools – mostly satellite schools – across the country recorded zero pass rates in the 2018 examinations. 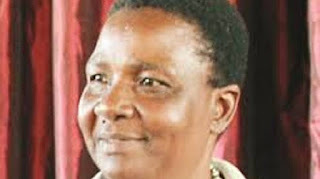 Primary and Secondary Education Permanent Secretary Mrs Tumisang Thabela said the Office of President and Cabinet and the Public Service Commission were worried about the zero pass rate and were putting in place measures to address the situation. Mrs Thabela was officially opening the National Association of Primary School (NAPH) and National Association of Secondary School Heads (NASH) inaugural joint track and field events competitions at Midlands Christian College in Gweru last week. “The Ministry of Primary and Secondary Education, the OPC and PSC are concerned about low standards in infrastructure and general teaching and learning levels in satellite schools which seem to precipitate zero percent pass rates,” she said. Mrs Thabela said stakeholders raised concerns over what was seemingly a low pass rate, adding that reasons for such a pass rate could be attributed to the absence of the continuous assessment component. Mrs Thabela said appropriate feedback was required immediately and all efforts in supervision and monitoring should target the schools. “My ministry and Zimsec are working tirelessly to have the continuous assessment framework in place as soon as possible,” she said. Mrs Thabela said her ministry was encouraging every school to resuscitate school feeding programmes in the wake of the pending drought to reduce drop-outs. “School feeding generally had been suspended because of the cholera outbreak,” she said. “With the advent of the effects of the prevailing drought in most areas in the country and the unfortunate effects of Cyclone Idai, the Ministry is encouraging every school to resuscitate school feeding.